Learn the step-by-step process that will assist you in assessing the medications being taken by your clients in order to determine the cautions, contraindications, and effects of massage therapy and the best massage strokes to use based on these medications. Massage therapists routinely have their clients complete a medical/health intake assessment prior to administering therapeutic treatment. Valuable information about a client's medical history as well as a list of current medications can be gained from this process. Questions often arise for the therapist as to how to give accurate consideration for the medications that are being taken and how to make corresponding massage technique adjustments. This continuing education course was developed to broach the topic of pharmacology for massage therapy for massage professionals. Each chapter of the text is organized by body system and addresses key concepts such as pharmacokinetics (how the drug is absorbed, distributed and excreted from the body), pharmacodynamics (how the drug produces its effects in the body), and pharmacotherapeutics (how the drug is used to treat disease or symptoms). The text further highlights common names of drugs, with the generic and brand name, massage assessment and protocol implications, adverse reactions of drugs and case studies. This course includes a handy easy reference guide for common medications, their related side effects, massage considerations and contraindications. I enjoyed learning about Pharmacology for massage therapy because most of the clients I see are taking some form of medication, and many are taking multiple prescriptions for multiple and varied issues. This was a topic that was NOT covered (with the exception of muscle relaxants and corticosteroids) in my education as a massage student. 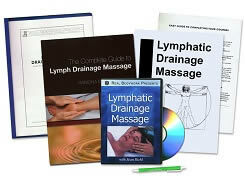 Now I will have the knowledge necessary to make informed decisions regarding my clients' sessions, the strokes that I need to use or avoid and any adverse effects that may occur. And, perhaps most important of all, because I am now an instructor in a massage school, I can pass my recently gained knowledge on to my students so that they will know how to work with their clients' medication lists. Your excellent course will be well used, and I will refer other massage therapy instructors (and, of course, my students). I think the course was wonderful! I really enjoyed the material and feel that the text was very thorough. I was amazed at all of the different drugs that were talked about, broken down, and felt that the massage implications and assessment boxes after each grouping were incredibly useful. I will be going back and reading through the text many, many times I'm sure, because I see lots of clients in a more medical-based setting, so the amount of different drugs I've seen listed could really make one's head spin! This course has made me more confident in the therapy I provide to my clients. I will absolutely be taking more of your home study courses. Thank you! This was the most thorough course that I have ever taken! The main pieces of information are compiled into a wonderful summary that is easy to understand and apply to my therapy. No need to second guess my knowledge. I do have one major complaint, it is that the source material was only online and a book was not available. Everything else I could not be more pleased! The source material itself was exceptional! Very well laid out! Systematic! Somethings that were more complex to understand was very simply and well explained! I learned a lot of things I did not know! I am really upset more of this information was not given in school and especially in such a format as the course did! This course definitely over exceeded my expectations! Thank you very much! Excellent course! I highly recommend it to ALL massage therapists. In today's 'pill-popping world" it is truly valuable information. Though my education is laboratory sciences, I found this course challenging and "refreshing". Not an easy course even if one just looked for the answers without fully reading the material. Great source of information to further my practice. I wish there was a book to go along with this course to keep for reference. The way the information was broken down was great! So much better than the internet or what I have found in a medical drug book. The staff was and always has been terrific. I love taking my courses through here!! Excellent course. It had been about 20 years since I last had a pharmacology course so this was a really good update for me. So much great information! I really enjoy learning about the medical aspects of my profession. This is my passion! Thank you for providing this type of course. I work for a hospice as a certified massage therapist. The majority of our patients are on a variety of different medications. 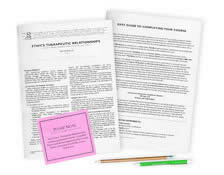 The material provides me with adequate knowledge that I can apply to each patient's massage session. I also used what I learned in a presentation for an education workshop at my place of work. Many RN'S commented how useful they found this information and did not realize how pharmacology and massage both produce changes in the human body therefore the massage session is adjusted accordingly. I really enjoyed this course! It was very thorough and organized in a way that made it easier to understand. I believe this course is essential to all massage therapist's and should be included in all massage therapy student programs. The content of this course was more than I was originally expecting! It was great to have the mental challenge and stimulation once again! I have refreshed prior information and learned and great deal more. Thank You! Highly informative and will use this in my clinic practice. The information in this course is great! It will be very useful in my daily practice! Thanks!!! The layout was easy and concise. Very interesting. Definitely worthwhile and completely transferable to my practice. Very in-depth in scope and information which is extremely helpful for continuing my future work. Rich information, material I will use and keep close at hand. Excellent course. This was a very challenging course but I was able to really understand and retain a lot of the information! The test brought my awareness up about my family and those around me! Great content! Nice to be able to work on this at home and at my convenience! Thanks! The course was very helpful to me. I will definitely be a returning student. Thank you very much. I enjoyed the course and I know I will be able to use in my practice. I'm sure I will take more courses through your company. Thank you. I would highly recommend this course to all massage therapists! It should be taught in all massage schools. It is full of valuable information, and the book is an amazing reference guide for continual use. If you work with anyone on any medications this is essential for your practice. This course has valuable in depth information that keeps the perspective of the massage therapist at the for front. I will have to go through the information again to grasp more understanding. It is a more difficult course because of the unfamiliarity with the topic. It was presented very well. Useful information combined with easy reference material. The textbook was particularly helpful. It was jam packed with information and very well organized. I will be referring back to the book frequently. Thank you for offering this course. It was thorough, interesting, and informative. This will help in my practice on a regular basis. Very interesting course and great book/chart I can use for reference. Thank you!!!! The book is very thorough. It covered the main points of interest to me. I will be using this text as a reference in the future. The presentation of the subject was clear and to the point. New insights were gained about my role as a health practitioner. The presenters were able to hold my attention. My understanding of key matters was enhanced. I can use this information in my practice. Overall quality of content of the course and course materials were excellent. Thank you. As a nursing student and massage therapist, I found this course extremely valuable. It's also very interesting since I'm currently taking pharmacology in my nursing program as well! Enjoyed this course immensely. Well organized and answers were related clearly enough to locate! The chart provided with the manual is worth the "price of admission"!!!! Thank you so much for a fabulous text and chart for my clinic!! This course opened my eyes to the many prescriptions out there. It was very helpful. I expect to use this information every day. This course opened my eyes to the importance of knowing what my clients are taking, and how massage could adversely affect them, if I don't know my contraindications. The reading was great. Very easy to understand and interpret... I give it 5 stars... and it was easy to be done in just a few, short weeks! I am amazed at the amount of studies that are being conducted in the field of pharmacology for the profession of massage therapy. This course is, indeed, TOP NOTCH. This should be a prerequisite for all professional Massage Therapists! THANK YOU. This was a very well rounded course covering a broad base of pharmacologic implications for massage. The textbook and chart have already become a valuable resource of information for me both professionally and personally. Wish I would have had this information earlier in my massage career. I feel more confident working with my clients who are taking medications. Great course. Highly recommended.